To celebrate the tenth anniversary of Michael Azzerrad's seminal book, Our Band Could Be Your Life, Azzerrad organized a tribute concert at the Bowery Ballroom this past weekend, in which 14 bands were chosen to cover 13 iconic bands/performers (including Dirty Projectors, St. Vincent, Citay, Dan Deacon and Ted Leo among others) from the 80s underground/indie music scene (including Black Flag, Mission of Burma, Minor Threat and Husker Du among others). 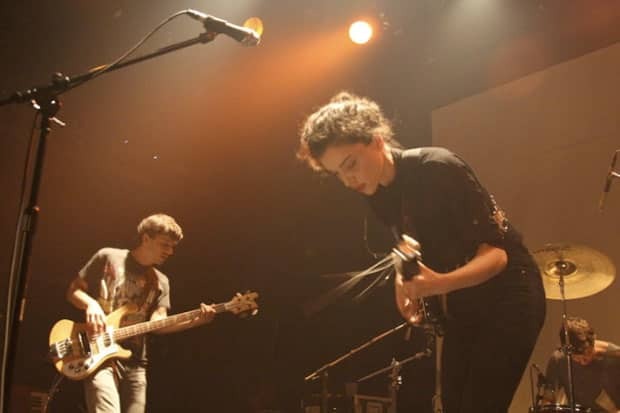 The author credited the Dirty Projectors with linking him to many of the bands chosen to perform at the concert, and the performers credited Azzerrad—not the music—with being the main inspiration for the show. Not often that the non-fiction genre spurs such artistic output. Luckily for those who weren't able to make it to the concert, NPR is kindly streaming the entire live show (as well as individual sets) on their site now.